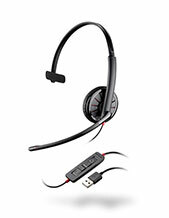 Plantronics EncorePro HW525 Stereo Hardwired USB Headset is an audio device that is ideal for softphone and PC/VoIP users. It is highly compatible with wide selection of major softphones, including Avaya, Cisco, and Microsoft Skype for Business. The collaboration of the softphones and the headset delivers high quality and clean audio experience to users. Do you want more details about this item? Give our company a call through our hotline: Australia wide 1300 131 133! 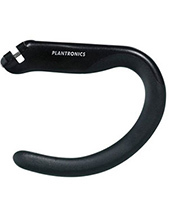 Plantronics, headquartered in Santa Cruz, California and supported by approximately 5,000 employed experts worldwide, is an incredible consumer electronics enterprise that has been operating since its establishment in the year 1961. The year after that, the company became responsible for introducing the first ever lightweight headset in the market. In fact, this headset became part of the history when Neil Armstrong used the headset to say his legendary line when he first step foot on the moon and became the first ever human to do so. Plantronics is the first company to introduce lightweight headsets in the world full of big, heavy, and bulky ones. With this great start and a dent in the history book, the company has endeavoured to follow through the high quality that it has initially set. Currently, it still delivers incredible quality to customers through developing and innovating cutting edge technologies and features to be integrated in their products and solutions. Named to be one of Australia’s greatest online stores to deliver high quality products and solutions, Headsetsonline Pty Ltd is the enterprise that customers go to when searching for the most ideal audio and sound products and solutions to cater to their specific needs and preferences. 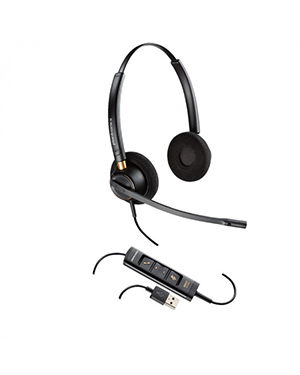 The company has decades of experience providing high quality headsets to corporate sectors and government agencies since 1998 as part of the company as a division. Headsetsonline offers an extensive audio and sound product portfolio comprised of both brand new and refurbished products and solutions. These offers are sourced from Australian distributors and not grey imports, which is how the company is ensured of all of its quality. They are all Australian standards certified and come with warranties that are applicable all over Australia. 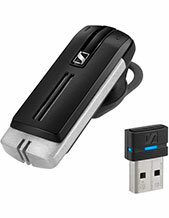 Headsetsonline operates through the secured site, Headsetsonline.com.au. The company promptly completes deliveries promising flat shipping rates all over Australia, without hidden chargers and surprise fees.